Sometimes a game just clicks. However, this was not the case when I decided to play through my two Mass Effect games (1 and 2) that I picked up during a Steam sale some time ago. Even knowing that the first game would be a little rough due to its age, I decided to go through them in order. 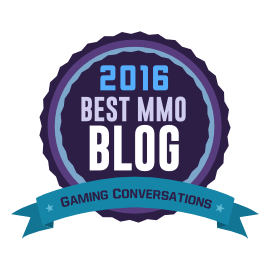 You may remember hearing me talk about that plan when I was still contributing to MMORPG.com’s Game On Podcast. I’d heard a lot about the Mass Effect series. The games seemed to have a huge following, and I loved the idea that events from one game could carry over into the next title. But Mass Effect 1 never really hooked me. I enjoyed the character interaction, but the story seemed slow to get going and I never really figured out how to navigate myself around the galaxy once it opened up. After a few nights’ worth of play sessions, I found myself driving around in a physics-defying moon patrol car wondering if I was even on the right planet for the mission I’d been handed. After that night, I never launched ME1 again. I took a small break from gaming altogether and when I returned, it was Elder Scrolls Online that beckoned and not Mass Effect.